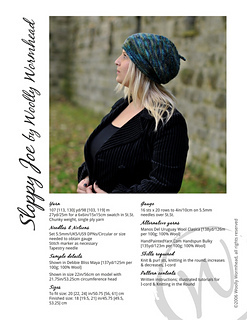 This pattern is ideal for beginning knitters, and is also a perfect showcase for your gorgeous hand-spun yarns! Pattern is worked top down and in the round. 16 sts x 20 rows to 4in/10cm on 5.5mm needles over St.St.